Changes: - Redesign the batch repair engine. - Support to save batch repair log. - Fix some minor bugs. Press release: DataNumen Word Repair 3.2 has been released! DataNumen Inc., a world leader in data recovery technologies, announces DataNumen Word Repair 3.2. 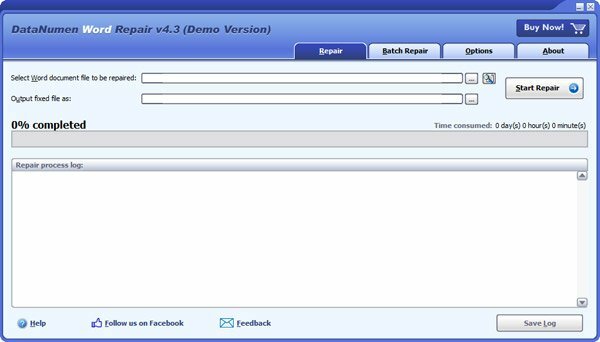 This application lets anyone repair corrupt Word documents with remarkable ease. DataNumen Word Repair Copyright 2001 - 2019 by DataNumen, Inc. All rights reserved. This full version license is for users who have purchased from DataNumen, Inc. a valid full version of DataNumen Word Repair. If you are using the demo version and have not purchased a valid full version of DataNumen Word Repair, please refer to DataNumen Word Repair Demo Version License in this help document.